President at Native Son Ventures, Inc. Founded this financial services consulting and coaching firm in response to a need for hands-on program development of investment services programs in the credit union industry. Focus on start-up of new programs and strategic development of existing programs leading to revenue growth. In addition, I provide coaching programs for financial institution practitioners where these business owners and managers learn how to profitably run their businesses like a CEO versus a tactician. This is accomplished through individual consultation as well as through group coaching. Responsible for developing business plans for de novo and existing investment and insurance programs. Created coaching programs for financial advisors and other financial practitioners and managers teaching them to run their businesses more strategically and thereby more profitably. Hold them accountable for implementation. Created and introduced several new communication tools, including an e-newsletter, a daily blog and tele-seminar. Developed credit union whitepapers on topics covering the successful integration of investment programs. Serve on the Supervisory Committee for USE Credit Union in San Diego, CA. Native Son Ventures was founded by Mark Hoaglin as a holding company for The Growth Coach San Diego and Above The Crowd Business Development. Growth Coach San Diego is a business coaching company that helps small business owners and managers grow their companies and balance their lives through a proven accountability process.Above The Crowd Business Development helps financial institutions and small businesses achieve success through marketing, sales and consulting expertise. Directly responsible for driving the vision and development of 220 credit union clients for this national broker dealer. Focus programs on developing tools, identifying resources, and maximizing communications to strengthen productivity, efficiency and accountability of the credit union investment programs. Oversee development of credit union specific marketing materials, focused publications, and internal benchmarking tools to gauge the success of each credit union program. Represent the credit union industry through participation in industry groups. Responsible for an annual sales revenue production of approximately $47M. Created the LPL Credit Union Executive Advisory Council (EAC), which is comprised of credit union investment program leaders and serves as a conduit for 200+ credit union partners. Created and introduced several new communication tools, including a newsletter, monthly program manager conference call, and regional program manager workshops, among other programs. Recruited to lead development of investment and insurance programs to credit unions nationwide for this national broker dealer. Restructured the sales management function to facilitate responsiveness to the organization's diverse geographic client portfolio. Redesigned the corporate sales structure, established new compensation programs, and recruited two new regional vice presidents. Promoted to President and CEO, accountable for the P&L success and strategic direction. Administered a $17M budget incorporating both XCU and its subsidiary, Focus Insurance. Set policies and procedures, oversaw HR initiatives, spearhead business development programs, and ensured compliance with NASD, SEC and state securities and insurance regulations. Served as the XCU/Focus liaison with attorneys, oversaw arbitration proceedings and all legal matters. 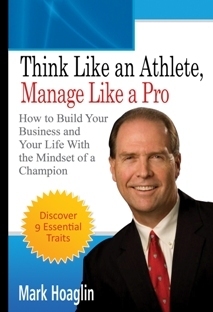 Managed five vice presidents, the Executive VP of Focus, and indirectly responsible for a 30-person corporate team. Reported to the Board of Directors. Promoted to provide strategic direction and stabilize operations that had been both under-performing and experiencing turmoil due to activities resulting in the termination of the former CEO. Hired a new Chief Compliance Officer and Operations Manager and collaborated with both to rebuild the organization. Grew operations to support 26 credit unions and 125 registered representatives with combined assets totaling $1.9B and 53,000 clients. Successfully led the business development efforts to acquire two new credit union clients. Implemented an investment program for the second largest credit union in the nation with $12B in assets. Launched a new product management program to expand brand awareness and enhance product authenticity. Improved product due diligence, introduced more comprehensive training programs for financial consultants, and instituted monthly conference calls to foster better communication with credit union clients. Recruited with California Federal Bank / Cal Fed Investments and continuously promoted throughout tenure. In 2003, Cal Fed was acquired by CIS, the broker-dealer subsidiary of Citicorp which offers a complete line of financial services products. Following the acquisition, promoted to directed the start-up venture and built a new territory from ground level. Created and implemented strategic business plan for 36 retails branch offices in southern California. Grew division from 4 employees to 25 financial consultants and 100+ licensed employees. As Supervisory Principal for territory, responsible for retail sales integration, setting and administering budgets, developing sales forecasts, and regulatory compliance. As Vice President - Area Investment Manager: Hired and trained 30 financial consultants within a nine-month period, and trained/supervised 100+ licensed investment sales employees. Conduct sales training programs that contributed to achieving 116% of prior 12-month investment revenue. 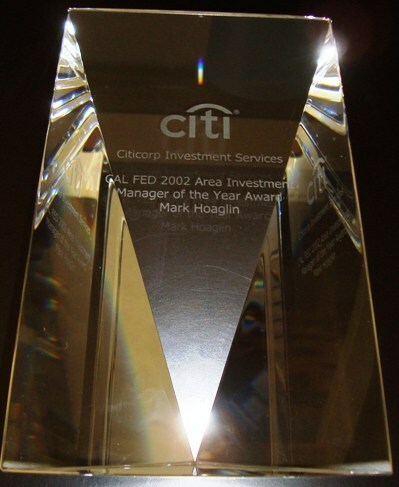 Named "Team Builder of the Year" for Citicorp Investment Services in 2003. As First Vice President ¾; Regional Investment Manager: Directly responsible for regional sales activities of 13 financial consultants and 125 licensed personal bankers. Generated $5.8M in investment sales revenue, a 116% increase in revenues year-over-year. Awarded the "Cal Fed Business Partner of the Year" and "Regional Investment Manager of the Year." As First Vice President ¾; Business Investments/Insurance Program: Developed the entire group benefits sales program from ground level; grew program from 0 to 16 plans in the first 12 months with $10+M in assets. Provided competitive analysis and intelligence on key industry statistics and consulted senior management on corporate strategies, including sales, marketing, accounting, and finance. As Regional Marketing Manager: Designed a marketing program for bank lending that added $4+M in new lines of credit. Designed and implemented a marketing program for the San Diego Padres that included debit card and smart card programs, which resulted in the opening of 2,000 new checking accounts. Designed a referral program for bank employees that increased overall brokerage sales by 50%; the program was recognized as the #1 program in the company and awarded "Top Sales Idea for 1998."